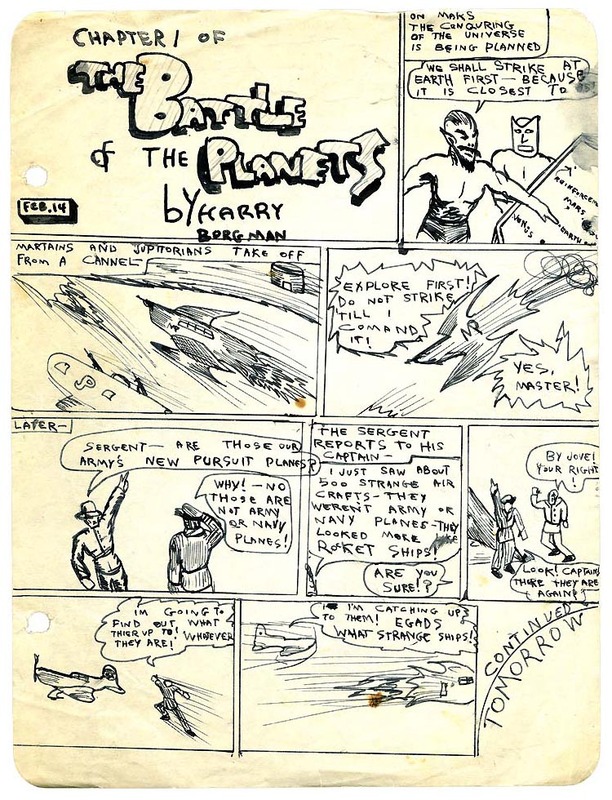 Today's Inspiration: "I was born... with a pencil in my hand"
"I was born... with a pencil in my hand"
When I was 12," writes Harry Borgman, "I drew a comic strip for my fellow classmates who eagerly awaited each daily episode. I was determined to become a comic book artist." A few weeks ago I posted some illustrations from Ford Times magazine. A Today's Inspiration list member had sent me the scans and included this note: "Here are all the Roberts and Borgman images that I have ... wish there were more [by] Borgman, his one piece is beautiful." "Hi Leif, I was surprised to find Cliff Roberts and my art on your blog. 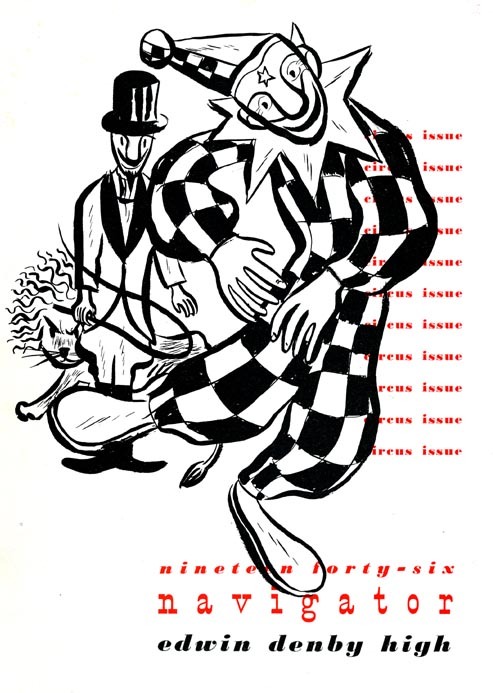 Cliff and I worked together in a Detroit art studio, Allied Artists from about 1946 to 1952, We did a lot of art for Ford Times, had great fun doing that stuff." Since that first contact, I've had the great pleasure of corresponding with Harry Borgman. 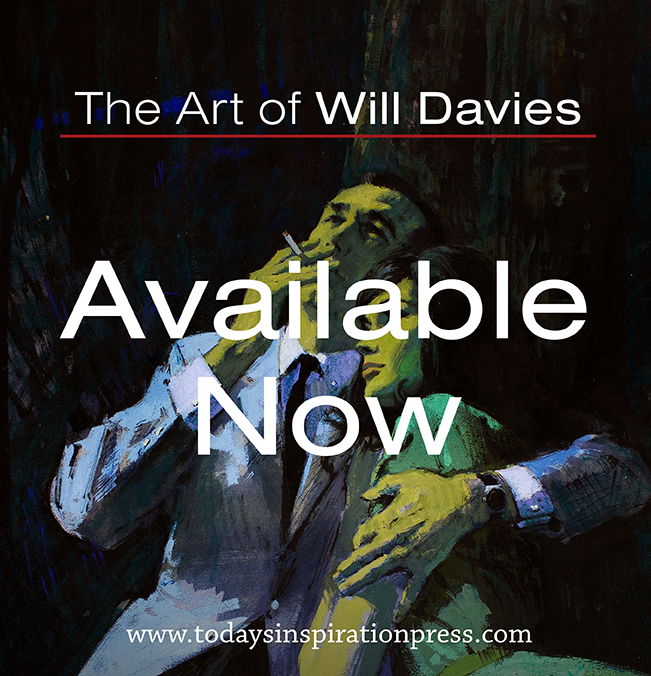 He has very generously sent many examples of his artwork from throughout his career and provided many fascinating details about his adventures as an illustrator, beginning with today's delightful samples from his youth. 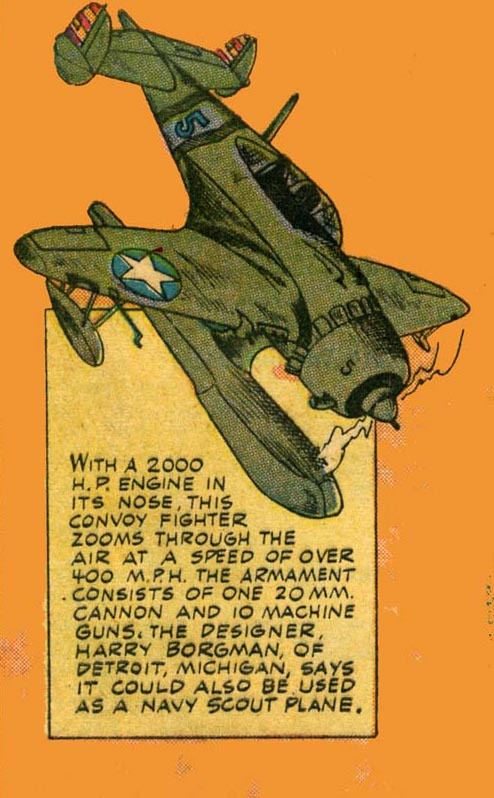 ...and had even had an airplane design published in the May 1943 issue of Wings Comics when he was just 15 years old. "The early comic books influenced a lot of us budding artists," writes Harry. "It was during this period that my art teacher, Margaret Stein, got me interested in the fine arts and the commercial art field. I was still reading comics, my favorites were The Spirit and anything that Lou Fine or Simon and Kirby did. I also loved the work of Noel Sickles, Roy Crane and Fred Guardineer." 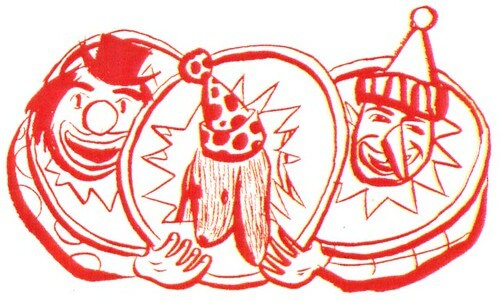 Borgman was appointed art director of the Denby High yearbook by his art teacher. Margaret Stein had once worked in a New York art studio and " she handled the production of the yearbook like a commercial job." "The printing plates for the yearbook were produced by Brophy Engraving Company in Detroit. They had an art department but their artists were drafted into the army as WWII was in full swing. They hired me in 1943, I worked there every day after my classes were finished." "A lucky break for a 15 year old art student!" Thank you for featuring Borgman! He has been "today's inspiration" for me for a few decades. My grandfather, Jim Donahue, worked with Harry at Allied Artists and thought the world of him. I grew up in a house that had an original Borgman on every wall and all the Borgman books on the shelves. When I took an illustration class in college, the only assigned reading was Borgman's "Drawing in Ink." 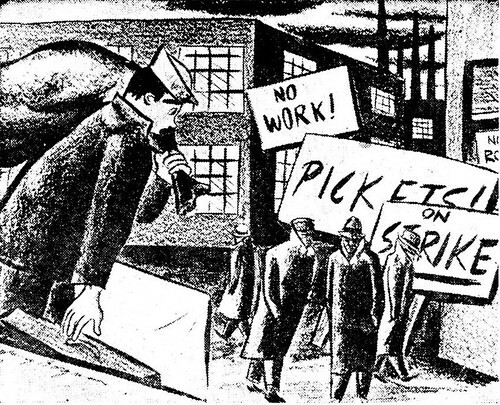 Leif, I have scanned some of Harry's Ford Times illustrations and I could send them your way, if you'd like. tris mast; how very fortunate you are to have enjoyed such a long relationship with Harry Borgman's art! I would love to see some of those scans you have - but if you don't mind, wait 'til tomorrow after I post the scans that Harry has provided me with. After you see which ones we will already have for the Flickr archive, I will be most grateful for any others you'd be willing to share. P.S. you'll find my email address if you click on my profile in the top right corner next to the Today's Inspiration banner. Inspirationally inspirational...and yup here comes the grammar referee...that's a 10 yard penalty, roughing the adjective...first down! Thank You, this is absolute DynOmite!